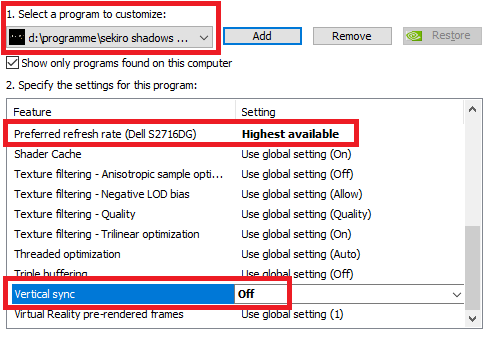 The following graphical guide has to be done if you want to unlock the game's framerate or play on a higher refresh rate in fullscreen. If you do not wish to use that feature you can scroll down further to the guides on all other features. The graphic setup has to be done only once but as the patcher hot-patches the memory you have to start the patcher every time you want to use any of its features. The game enforces VSYNC and forces 60 Hz in fullscreen even on 144 Hz monitors so we have to override these. 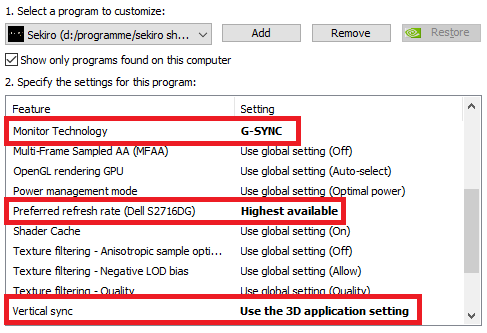 TL;DR Nvidia: Use Nvidia Control Panel to set 'Vsync' to 'Off' and 'Preferred Refreshrate' to 'Highest available' on a Sekiro Profile. Troubleshoot: delete the (premade) Sekiro profile, add a new profile by stating the full file path to sekiro.exe and try again. 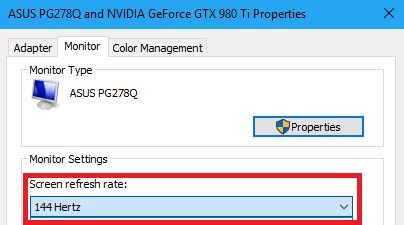 If Preferred Refreshrate is missing or game still locks to 60fps see the guide further down on Nvidia Profile Inspector and general troubleshooting. 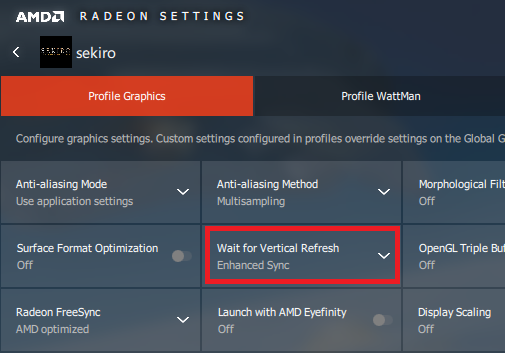 TL;DR AMD: Use Radeon Settings to set 'Wait for Vertical Refresh' to 'Enhanced Sync' on a Sekiro profile. 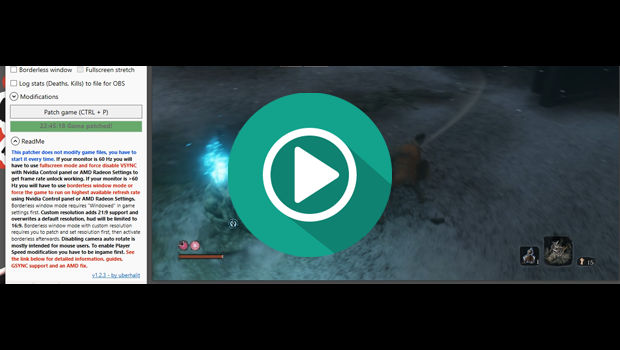 Start Sekiro in windowed mode and switch to fullscreen once ingame. Troubleshoot: see the guide further down below. This will completely disable the automatic camera rotation adjustments when you are moving. 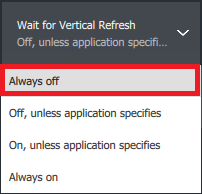 This is mostly intended for mouse users, enabling it on non-native windows controllers will not work perfectly (some rotation adjustments will be left) and you will temporary lose the ability to slow-tilt (deadzones). Disabling the automatic camera adjustments makes little sense on controllers. If you changed your input device or made a mistake while selecting it simply close the utility, delete the `SekiroFpsUnlockAndMore.xml` file, restart the game and mod. If you press your target lock-on key and no target is in sight the game will reset and center the camera position and disable your input while it's doing so. Ticking this checkbox will remove this behaviour of the game. This option will remove the effect dragonrot has on NPCs, if an NPC already got dragonrot then it will ensure that their condition won't worsen when you die. The internal dragonrot counter will however keep increasing, nobody will be affected by it though. Keep in mind that there are certain thresholds regarding amount of deaths between dragonrot levels, if you enable this feature and die a level might get skipped so even when you disable it afterwards the dragonrot level for all NPCs will only increase after you have hit the next threshold. Like 'Unseen Aid' you will not lose any Sen or Experience upon death with this option enabled. Dragonrot will not be modified, check the option above to prevent dragonrot from increasing. Slow down the game to beat a boss like a game journalist or speed it up and become gud. Game speed acts as a global time scale and is used by the game itself to create a dramatic effect in a few cutscenes. All game physics (even opening the menu) will be affected equally: all time-critical windows like dodge and deflect will be proportionally prolonged or shortened while the amount of damage given and taken as well as all other damage physics will be unaltered. A hit from an enemy on 150% game speed will do the exact same damage as on 80%, the deflect window on 50% is exactly twice as long as on 100% and so on. Of course, Sekiro himself will be affected by the speed too so even though a time window might me different now, the speed which you can react on it is different too. Be aware that both speed modifications can potentially crash the game in certain cutscenes and NPC interactions so use them with caution. This modifier enables you to control Sekiro's speed independently from general game speed. Combat physics however are not guaranteed to stay the same on every setting. For example if you increase player speed you will be able to react to an attack faster but your own 'deflect' window is shorter now because you move faster. Use this to explore the world or to keep player speed near normal while decreasing general game speed. Grappling as well as jumping is handled by game speed while falling damage is calculated based on player speed so take care when grappling to a lower level with a low game speed and high player speed as this could instantly kill you as the game thinks you fell to death. Be aware that both speed modifications can potentially crash the game in certain cutscenes and NPC interactions so use them with caution.